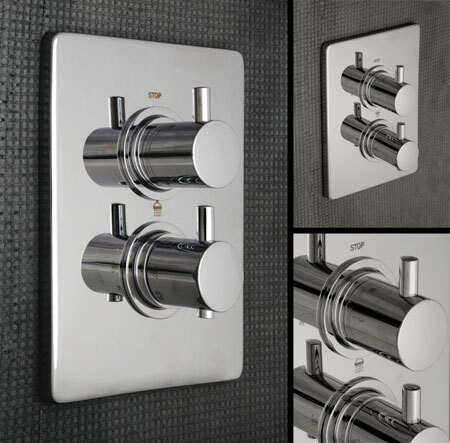 Solid well engineered thermostatic shower valve with a chrome on brass back plate and machined solid brass innards for recessing into the wall installation. This thermostatic shower control is available as a 1 way valve - operating 1 outlet e.g. shower head or 2 way valve which operates 2 outlets e.g. shower head plus adjustable shower rail or 3 way valve which operates 3 outlets e.g. shower head plus adjustable shower rail plus body jets. * 1, 2 or 3 shower functions. * 5 year manufacture guarantee.